01. 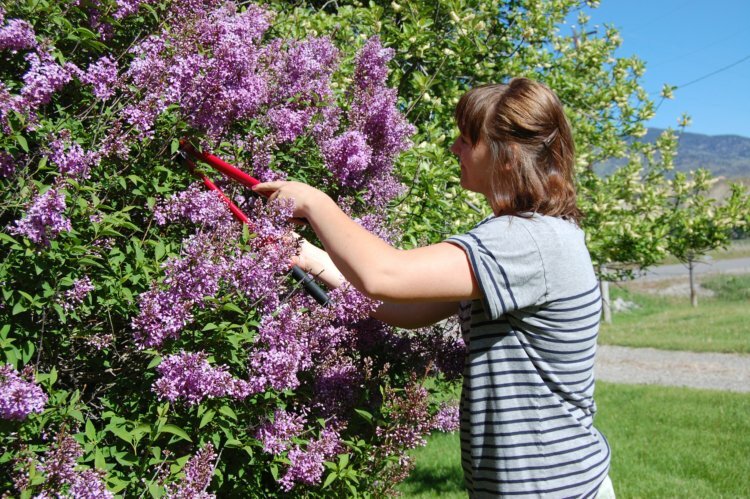 Jen was smart enough to know when the lilacs would be in bloom in Salmon and planned the shower accordingly. She also had a sweet hookup. We cut buckets full of lilacs and didn't even make a dent in these bushes. 02. The girls were happy/insistent about helping put the flowers in the water. 03. 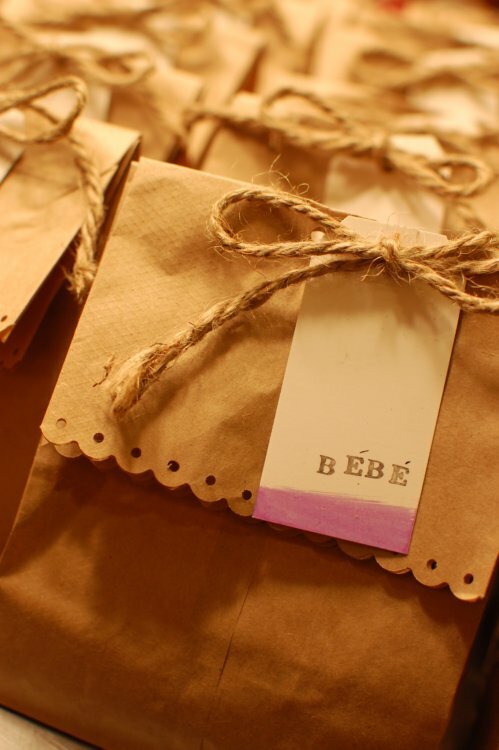 We were up late the night before the shower making the favor bags and tags. I painted a watercolor stripe on the bottom for a little extra detail. 04. 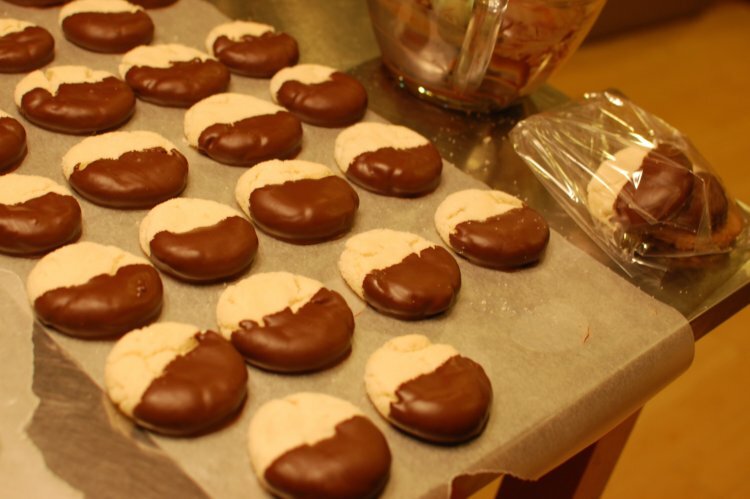 We packed all of the cookies in cellophane bags before putting them in the paper bags so there wouldn't be any spots on the paper. That's problem solving, people. 05. 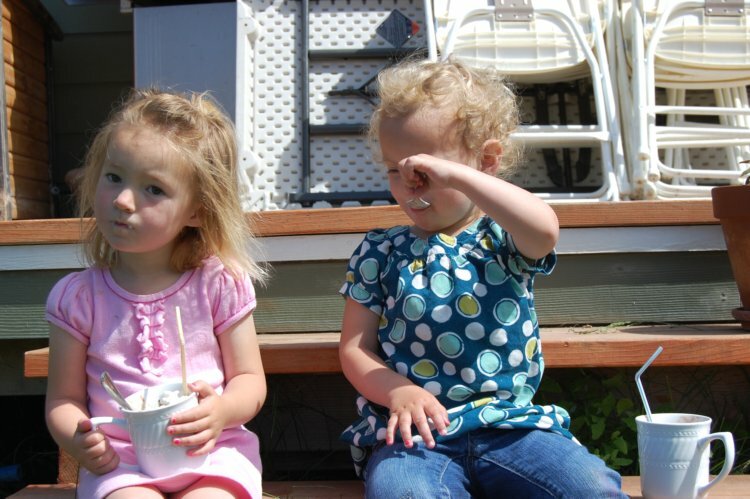 To buy us a little "quiet time" during the day, Jen made the girls a "special treat" that involved ice cream. It reminded me of these pictures. 06. 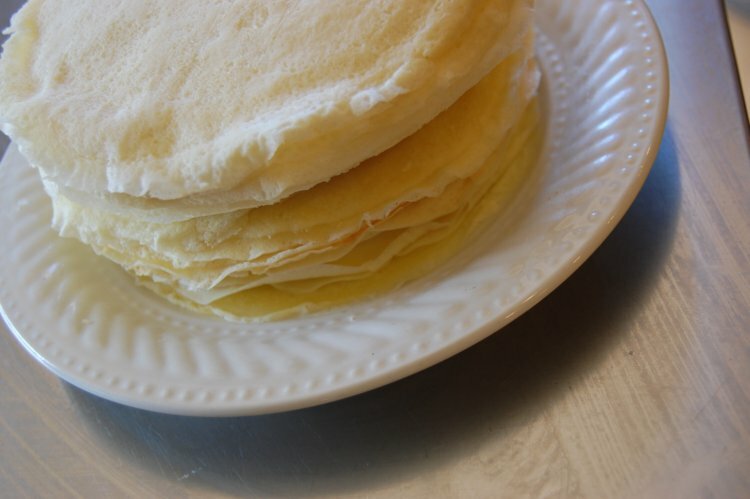 I wish I always had a beautiful stack of crepes sitting on my counter. I think this is your calling in life: party planning. Seriously amazed at your skills. And Jen's. What a perfect friend for you! I adore lilacs, cookies and cute party favor bags! Hi Miranda! Thanks for stopping by my silly little blog, it's nice to "meet" you! I am loving every little detail of the baby shower you two put together. I especially love the little touches, like the eggs as decorations...brilliant! Oh wow, so gorgeous!! Rustic chic is definitely my style - I didn't know there was a name for it! What a sweet shower. I sure hope the mommy-to-be appreciated all the work and felt super loved. I would have! 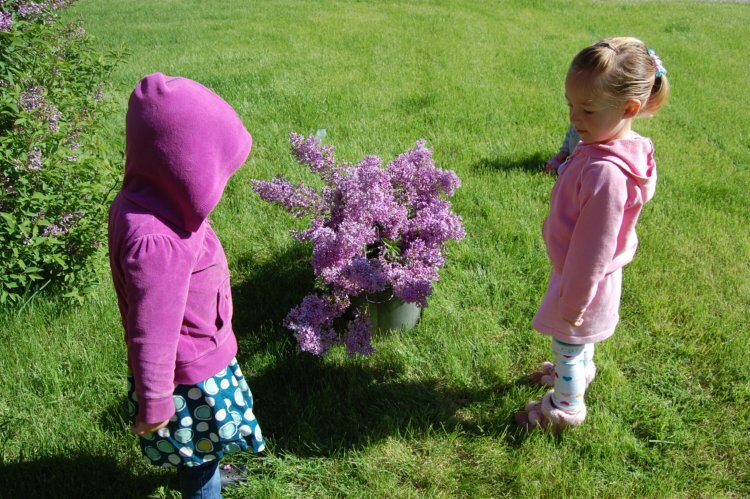 I was thinking how fortuitous it was that the lilacs were in bloom! Beautiful crêpes, indeed! Looks like you definitely got the hang of it. So, I just clicked your link to look at the "similar" ice cream picture. My, how they both have changed! Makes me a little sad. Of course it's all amazing, but question: How did you do the paper bags? I tried to do it for Bella's favors using scalloped scissors because I didn't have a scalloped rotary cutter and it Did. Not. Work. At all. Yours looks lovely!